One of the most exciting parts of our new Baby and Child Collection are the adorable and cuddly stuffed animals made by our artisan partners in Peru. Each animal in our debut collection – including Bette the Bunny, Luca the Lion, Murray the Monkey and Zella the Zebra – is made with love by women knitters in the Peruvian highlands. 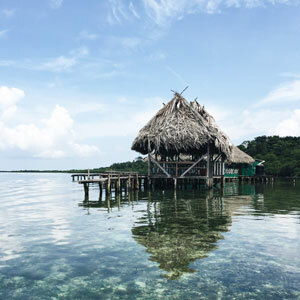 Our partners are a family-run Fair Trade organization that employs hundreds of artisans from the most rural areas of Peru. Farming is the main source of income for most of these artisan families. They therefore must remain at home and in the fields to sustain their income. 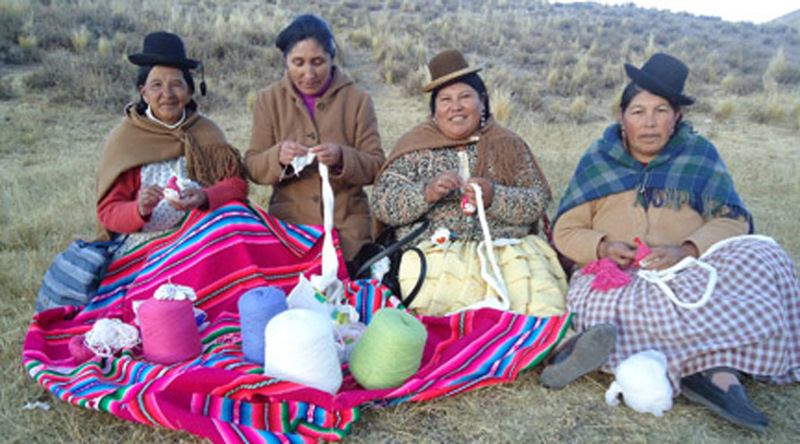 The climate is cold in this mountainous region, and female artisans learn to knit at a young age to produce their own clothing. 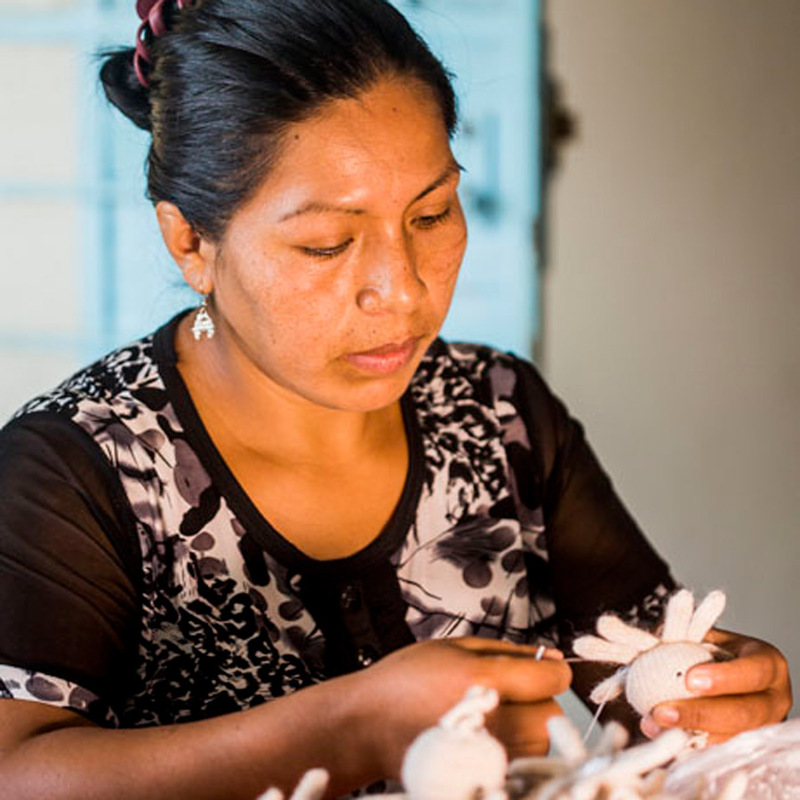 By providing the opportunity to supplement their income making hand-knit dolls and animals, our partners are bringing sustainable and dependable work using the skills they have developed over many generations. 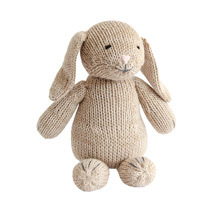 Our artisan partners knit our stuffed animal collection by hand in the Peruvian highlands. 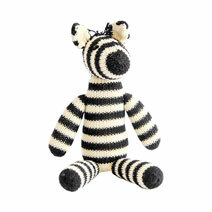 Each stuffed animal is made entirely by hand using locally sourced and natural materials such as cotton and alpaca wool. 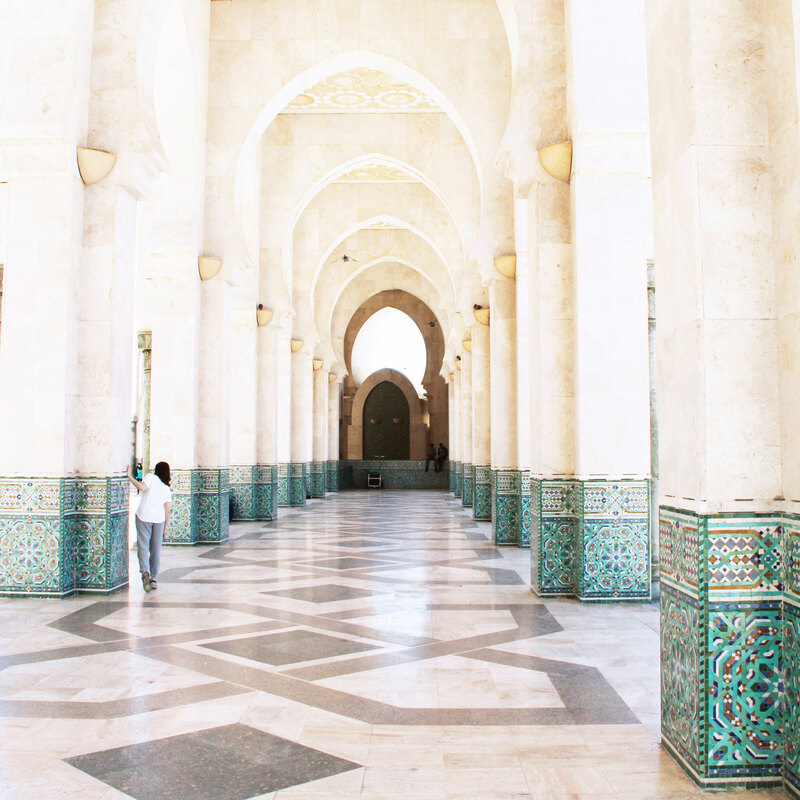 Our process began many months ago, when we first contacted our partners to begin the development process. Several months later, we traveled to their offices in Lima, Peru to hand choose colors and finishes. 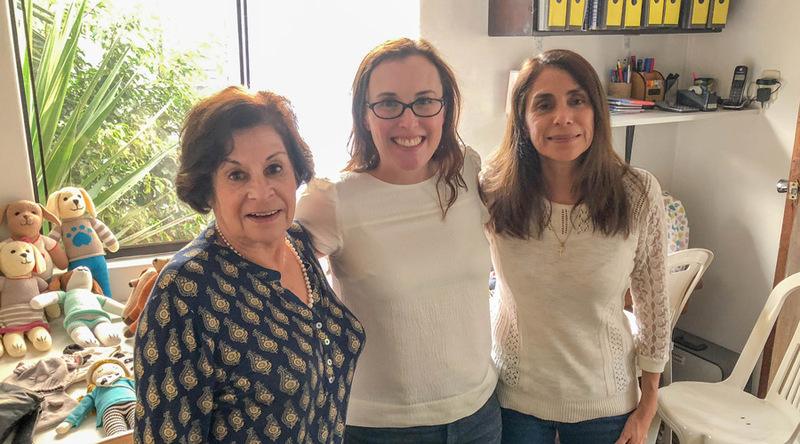 Meridian Founder Ashley Viola meets with members of our artisan partner team in Peru. What originally felt like an easy task instantly became overwhelming when we arrived in our partner’s offices! Although we had certain species of animals in mind, their ability to create a myriad of options was incredible. Since each animal is developed and created by hand, the choices were endless. Would llamas with pig tails work? Or would penguins with bow ties be better? Finally, we settled on a launch collection, plus set up several new styles that will be announced in the coming months. Just one of the many color combinations we discussed during the meeting with our artisan partners in Peru. After our meeting to select finishes and details, the development process began. Our partner’s master weaver created a prototype, which they shared with our team. Back at Meridian HQ in New York City, we provided feedback and eagerly awaited the next round. Once the samples were finalized, the master weaver distributes the pattern with our partner’s artisan groups. 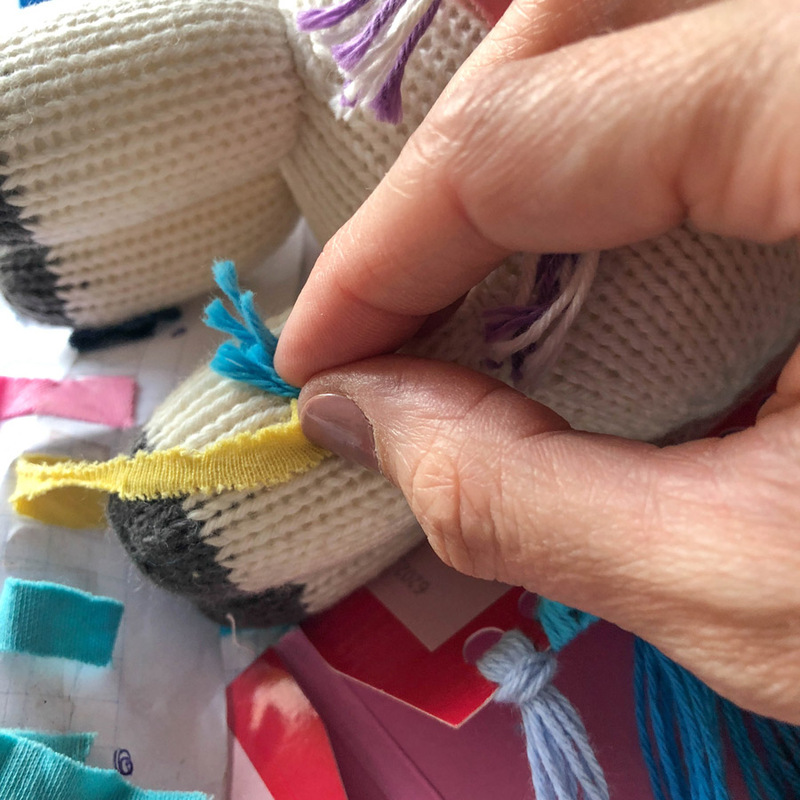 Artisans knit by hand pieces of each stuffed animal at a time (someone knits all of the arms and legs, for example) before attaching the pieces and stuffing each animal with fill. Details like clothing and accessories are embroidered onto each individual animal before it is complete and ready to ship to the USA. A member of the artisan team sews the final details on a stuffed octopus. We’re beyond thrilled to have the opportunity to work with our spectacular partners to launch our first Baby and Child Collection! 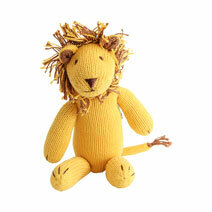 Each animal is made using the highest quality natural materials and designed to last a lifetime. 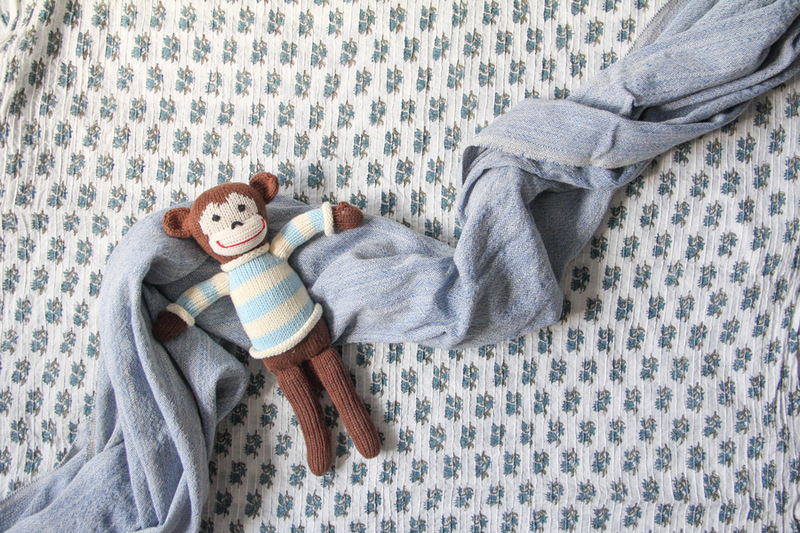 Since they are made in ethical and sustainable conditions, it’s a feel-good purchase to know you’re setting up the next generation with heirloom quality toys and instilling the values outlined by the global Fair Trade community. And since babies may not have those shared values (yet! 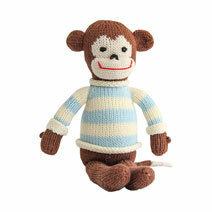 ), they’ll love our animals’ snuggly and adorable personalities. 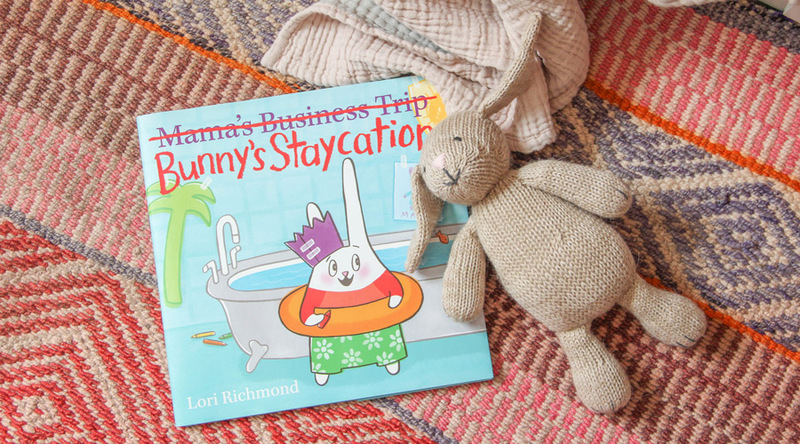 Bette the Bunny loves “Bunny’s Staycation,” an adorable picture book written by Meridian friend Lori Richmond.